This is a Moncler vest so don’t get your hopes up. I just posted it to illustrate the style Lululemon may be (totally is) trying to emulate. Word on the street is that tomorrows product drop includes a long knee length puffy vest. This will have major appeal for those of us that are 5’5 and shorter. Ha! right. 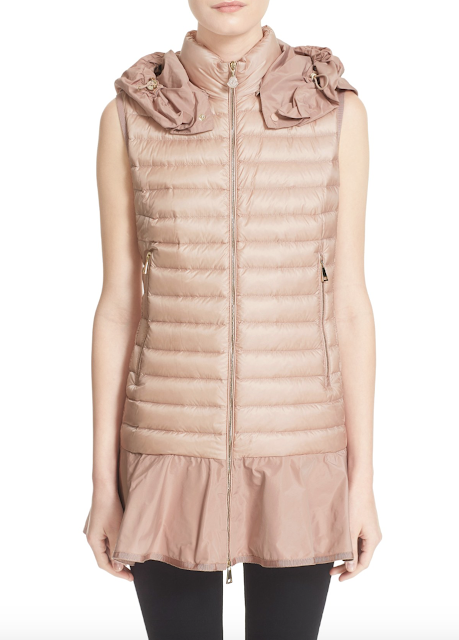 I do really like this mid hip length Moncler vest though. Lululemon US Warehouse Sale 2014 – Minnesota! "Citytrek Trouser Ponte, Love Tee"
I could really have used one today in LA. It was an icy 110 degrees. So right, formerly non 4:41! You hit the nail on the head — Lululemon was the leader in work out clothes — not a follower! So nicely said both of you. Lulu you were popular! Very cute very functional NOT high fashion. Get over yourself and go back to your roots. If it is cold enough to want the warmth of a long length down vest like these, then I'm sure I would want my arms covered as well. This doesn't really make much sense to me, it's not really functional, imo. Me too !!! I don't understand vests. If I need my torso covered, I need my arms covered. I love ruffles and super feminine details but that light colour vest with the ruffle around the bottom hemline is just hideous, the whole vest is ugly. Also, I really do not care about if a brand is "hot" or how "high end" or popular it is, if something is ugly then it's ugly, I don't care what brand it is. I also really don't get why Lululemon seems to want to copy all this higher end stuff. To be honest, I'm not into this kind of stuff but even if I was I rarely see something I like from these kinds of brands. @5:47, I share your thought exactly. 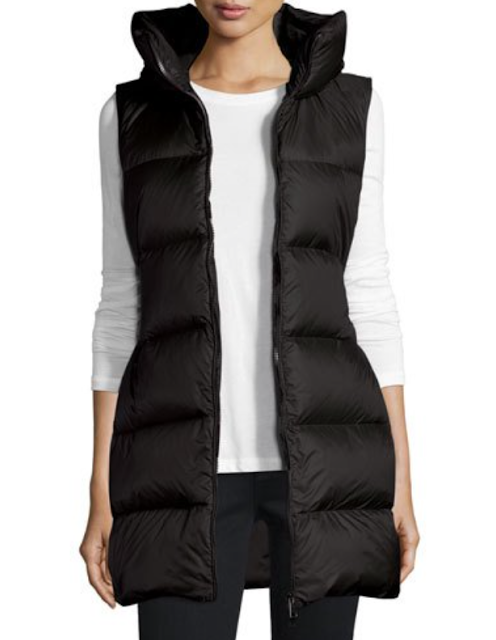 I saw some of these types of vests at marshalls the other day and thought "Ew, why?" 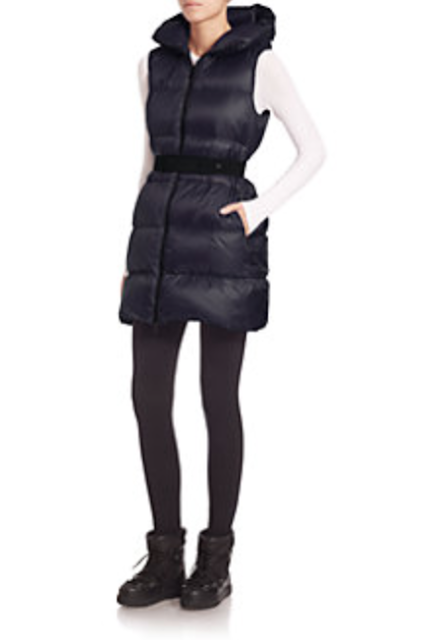 like, not only do I echo the sentiment that there is NO functional point to a LONG vest, but they just are NOT cute. I don't care if you slap a ruffle on it, or a belt on it or whatever. ladies, I think that ruffle at the bottom hemline is a skirt the model is wearing underneath. right?! please tell me so! because I cannot imagine someone designing it like that.